Michael Oyenkachi Chukwuma's tear-streaked face pressed on the floor of the studio as he was announced the winner of a German TV program - "Unschlagbar". He traveled from Nigeria to surpass the unbeatable Super biter. In the finals, he defeated the Unbeatable and also a second challenger. Michael will fly back to Nigeria with 50,000 Euros. From his winnings Michael wants to set up a charity for the slum in Lagos, where he was born. Retired Hans-Jürgen Pietsch, who thinks he is unbeatable as a super-biter and has no clue who his other two challengers are but must only compete with one in an audience raffle. It's either he competes against Steve Schmidt, who has already broken records with his teeth or against Michael Oyenkachi Chukwuma, who survives with the donation he gets from street performances with the teeth. "Life in the ghetto is not easy," the Nigerian challenger describes his daily struggle. As a street artist, he impresses people in Lagos with his mighty teeth and earned a few pennies. When Marco Schreyl, host for "Unbeatable" invited Michael Oyenkachi Chukwuma, to the show, for him was the chance of a lifetime. For the first time Michael travels to Europe to face the unbeatable candidate Hans-Jürgen in the studio. 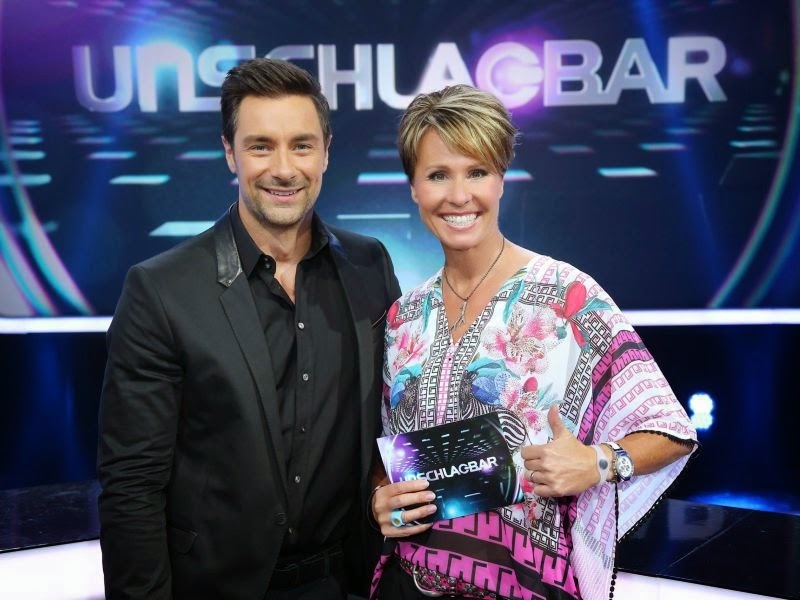 The studio audience was so touched by Michael's story and motivation that they selected him with a 91 percent vote to face the unbeatable candidate Hans-Jürgen Pietsch in the category Super biter. Marco Schreyl says: "You want to see this man win." Even the Nigerian said: "Whoever sets out against me must bite on granite to win me." In the battle category of the super-biter Michael intimidates his opponent and is hard to stop. Within two minutes, Michael had pulled 62 nails from a wooden beam with his teeth. The unbeatable candidate Hans-Jürgen had managed to pull only 35. "I have the strongest teeth in Africa and I want to have the strongest teeth in the world" says Oyenkachi Michael Chukwuma. To achieve this goal he has to be selected to the finals and defeat the second challenger Steve Schmidt. Michael wants to set up a charity "I'm curious like a Flitzebogen" says Marco Schreyl just before the outcome of the final vote is shown on the LED wall, too. Then the result is: 67 percent of the studio audience wants to see a battle between "Super Jaws" Steve Schmidt and Michael Oyenkachi Chukwuma. This will give him the possibility of "Unbeatable" to win 50,000 euros in the final. In the battle the Nigerian challenger from Lagos takes his chance. Within a minute, Michael draws three nails over challenger Steve Schmidt from the wooden beams. Michael is so overwhelmed with his victory that he breaks down and cries. He wants to start a relief organization in Nigeria, from the 50,000 euro "in order to fight poverty in my slum," said the winner of "Unbeatable" Michael Oyenkachi Chukwuma.